Although the annual Perth Independent Latino Film Festival does not arrive in Perth until August, Cine Vivo has organised special events throughout the year. The first event is a screening of the incredible Chilean drama A Fantastic Woman (★ ★ ★ ★ ½). Winner of the 2018 Oscar for Best Foreign Language Film, it is an evocative, emotional, and delicately executed study of love, loss and the trans experience. 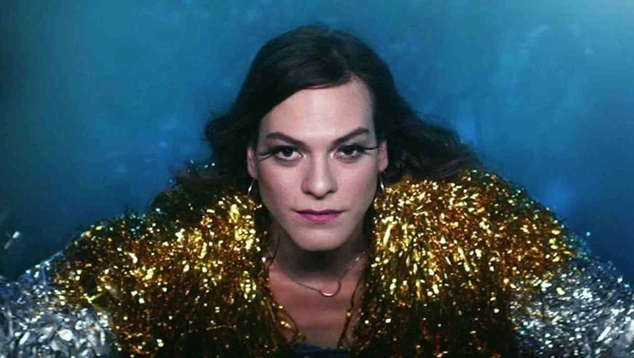 A Fantastic Woman opens with nightclub singer Marina (trans actor and singer Daniela Vega) singing “Love is like yesterday’s newspaper” in Chile’s capital Santiago. Then, shortly after celebrating her birthday with her handsome silver fox boyfriend Orlando (Francisco Reyes), she has to take him to the hospital where he dies of an aneurysm. Things get complicated very quickly as Marina tries to hold on to her dignity while Orlando’s family and the law don’t acknowledge their relationship. Marina and Orlando’s love for one another disappears as Marina is scrutinised by police and hospital officials, bullied by Orlando’s family and even threatened and physically assaulted. Marina has no rights and no personal support, she has to move from the place she shared with Orlando, she is instructed to stay away from the ‘grieving family’ and officials treat her like a criminal and insist on calling her ‘Daniel’. The film’s realistic portrayal of Marina’s battle just to exist is very disturbing but unfortunately it probably isn’t that different to many places in the world, particularly when greed and bigotry combine. The film is directed by Sebastian Lelio whose previous film Gloria also captured the loneliness of being in a non-conventional relationship. Vega is fantastic as she brings a quiet strength to her character trying to claim the right to mourn her lover and salvage something from their relationship. Cine Vivo will screen A Fantastic Woman on Saturday 30 March (from 6pm – 8pm) at Queens Building which is 97 William St in Perth. Rated M, the film is in Spanish with English subtitles and tickets are available on Facebook. Before the film enjoy the beautiful sounds of traditional Chilean folk music by Nico Bahamonde (guitar, acordeón, pipe flutes, voice), plus delicious Chilean empanadas and the bar.